As the reader of this blog is probably aware, there has been a large increase in personal debt in the United States over the past decade. As credit cards, credit lines, and other non-secured loans have become more easily available, and the stigma against being in debt greatly diminished, the result is that many more people are in debt, and for larger amounts, than at any time in our country’s history. This post will explore the general legal issues associated with debt collection in New York State. 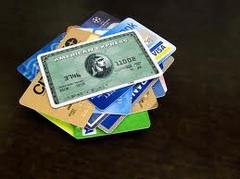 When a consumer defaults on credit card debt, generally, the credit card company will sell or assign the debt to another company after it has engaged in minimal preliminary collection efforts. The bank which issued the credit card is therefore often not involved in collecting the unpaid balance from the delinquent credit card holder. Instead, the debt is sold or assigned to a collection agency. A collection agency usually attempts to collect the debt in exchange for a percentage of the amount collected. The collection agency may also buy the debt for less than its face value, and then attempt to make a profit on any amount collected. For example, a consumer incurs a $15,000.00 credit card debt. The credit card company may sell the debt to a collection agency for ten cents on the dollar ($1,500.00). The collection agency now owns the right to collect on the obligation. Any amount that it can collect from the debtor in excess of $1,500.00 will be a profit to the collection agency. The original creditor will then write off the debt and may no longer be involved in its collection. This process creates many legal issues. The collection agency will usually attempt to collect the debt by making repeated telephone calls to the debtor, as well as by sending collection letters. These communications do not always state the original ownership of the debt. A debtor who has several debts will not always be able to identify whether the collection agency has a legitimate claim. Given the often hostile tone of these communications, as well as their constant nature through “robo-calling,” a debtor without legal counsel may be bullied into paying a claim without any legal basis. Another problem involves proof of the actual debt. When the debt is transferred from the original creditor to a collection agency, the records of the debt, such as statements, are often not transferred, or are lost. Often, the debt is transferred several times among various entities, as different companies attempt to collect the debt. A debtor may also be in a situation where different agencies attempt to collect the same debt. When our firm is engaged in these situations, we always request written documentation of the debt, as well as written documentation of the transfer of the debt from the creditor to any third party. In the absence of such proof, the debt holder may find it difficult to prove their case in Court. Once a case is in litigation in New York State, the party bringing the lawsuit (the plaintiff) has the burden of proving their case. Therefore, once a lawsuit has been brought, a discovery demand should be filed on behalf of the client. This is a formal written request to the plaintiff that it provide written proof of both the debt as well as its legal right to collect the debt. If the plaintiff is unwilling or unable to provide such documentation, a motion will be made to the Court to dismiss the action. Because many companies have not received any documentation from the original creditor, or cannot locate same, the result often is the dismissal of the action against the debtor. If the plaintiff has obtained proper documentation, and is willing to provide same, the next step is to attempt to negotiate a settlement on favorable terms to the debtor. This may involve a payout of a portion of the amount due over a period of time, so that the settlement is not a financial burden to the debtor. Of course, the exact terms of any settlement will vary from case to case, but in most instances, a plaintiff will be willing to resolve the case if scheduled payments are made by the debtor. In conclusion, all parties to such transactions should confirm the existence of proper documentation to prove the amounts owed. Once that has been accomplished, the attorneys for the debtor and for the creditor are in a position to negotiate a reasonable settlement fair to all parties.